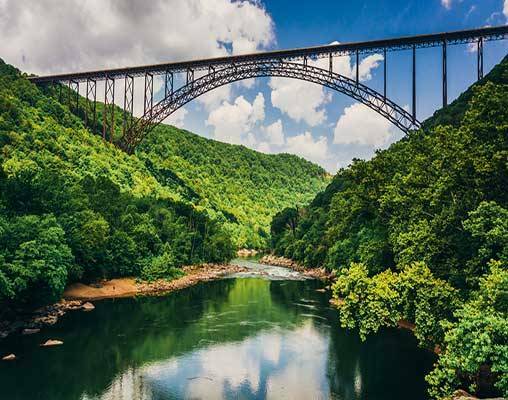 West Virginia’s historic railways stretch from the Appalachians to the Alleghenies. 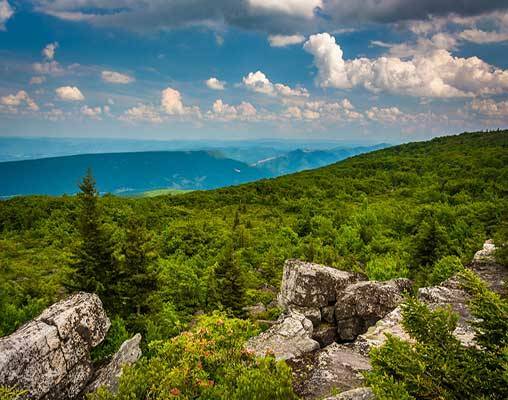 On this thrilling journey through the gorgeous Mountain State, you will ride on historic steam engine trains, visit charming small towns, and discover the connection between West Virginia and the railroad. You will ride on six different trains, from a restored 1910 steam locomotive to today's most modern offerings. 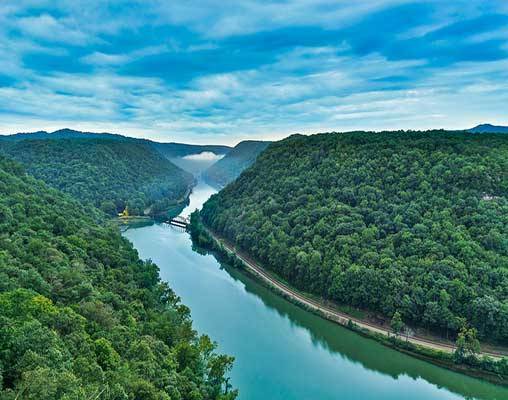 As you begin your journey east from Chicago, pass through the New River Gorge and travel through the Big Bend Tunnel before arriving in White Sulphur Springs. Then explore the Greenbrier resort and learn the story of its underground bunker. The next day, visit the National Radio Astronomy Observatory and view some of the most complex telescopes. 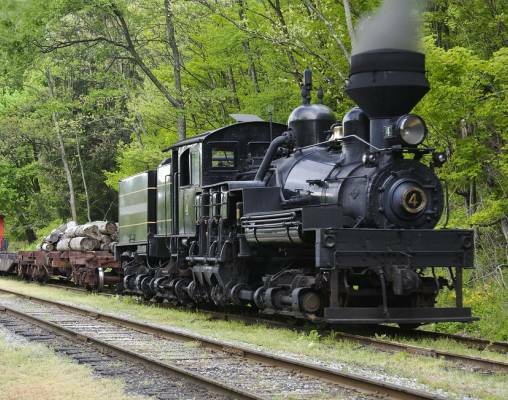 Then ride the restored Shay steam engine locomotive on a trip through rugged mountain terrain. Your next ride is on the 55-ton Durbin Rocket built in 1910. 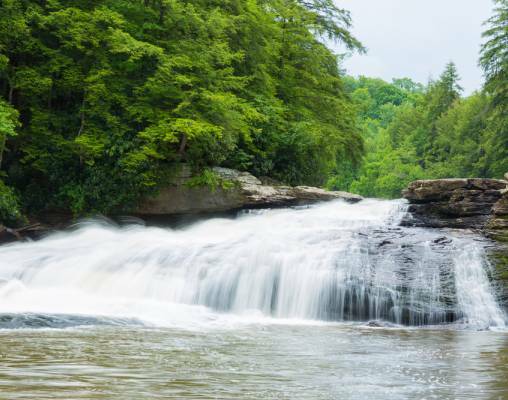 Travel along the Greenbrier River in Northern Pocahontas County, and enjoy the views of the Monongahela National Forest. The Cheat Mountain Salamander takes you through high country spruce forests with many opportunities to view exotic wildlife. With time to learn about the history and inner workings of the railroad industry, enjoy visits to the Oakland Railroad Depot and Garrett County Transportation Museum. Your education continues with a trip to the Allegany County Historical Society Museum. In Cumberland, visit the beautiful Emmanuel Church, which was has tunnels from the Underground Railroad. 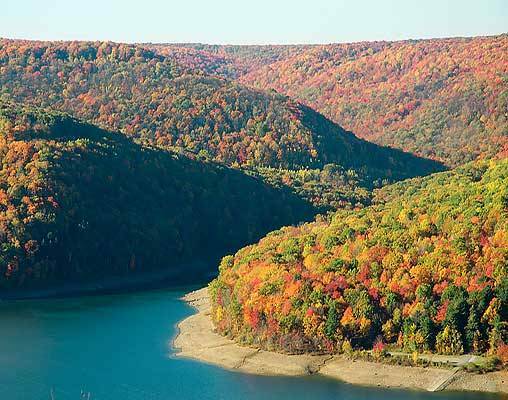 Finally, travel along the Western Maryland Scenic Railroad as you witness the spectacular scenery of the Allegheny Mountains. Trains of West Virginia tour members will meet the Tour Director in Chicago's Union Station. At 5:00 p.m. we'll board Amtrak's Cardinal (Train #1 of the seven trains you will experience) prior to its 5:45 p.m. departure. Relax in your reclining coach class seat with leg rest. A limited number of Roomettes and Bedrooms may be available at extra cost and include dining room meals. Following breakfast a local guide joins us for the next three days. We will journey to the lumber town of Cass, previous home to the West Virginia Pulp and Paper Company. Specially designed Shay steam engines were used to pull heavy lumber cars over steep grades in this rugged mountain terrain. Once you board the train (Train #2), the real excitement begins! The great pistons of the carefully restored Shay locomotive will start pulsing, driven by hundreds of pounds of steam pressure. With thick, black smoke belching from its stack, the train pulls away from the station, passing the water tower from which the locomotive tanks are filled. As the train rounds the curve up Leatherbark Creek, you'll pass the Cass Shop, where the locomotives are serviced and repaired, and a graveyard of antiquated but fascinating equipment on sidetracks. Breakfast is included in the hotel both mornings. This morning In historic Durbin you have the opportunity to ride and experience the sights and sounds of one of the rarest steam locomotives in existence. The Durbin Rocket (Train #3) is powered by a rare steam locomotive; Old #3 is one of only three operating climax-geared logging locomotives on earth. This 55-ton antique was built in 1910 for the Moore-Keppel Lumber Co. in nearby Randolph County. Today you will ride in an authentic 1920-era coaches and vintage wooden cabooses behind #3 as she puffs and whistles her way along the free-flowing Greenbrier River in Northern Pocahontas County. 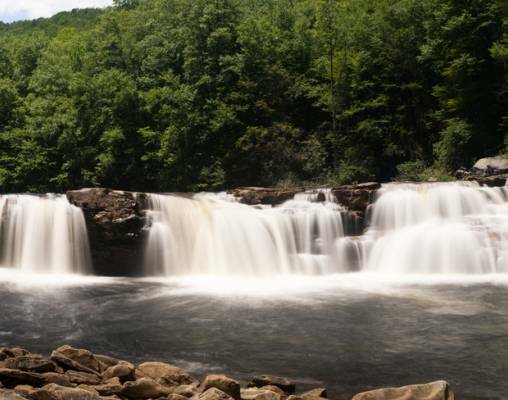 The ride offers many beautiful river and mountain views in the Monongahela National Forest. Lunch is included at the Durbin Depot. Our journey continues north where we will visit the Oakland Railroad Depot and Garrett County Transportation Museum. Return to the past as you visit two floors of exhibits. The first floor features carriages, sleighs, buggies, fire department artifacts, and automobiles, along with a representation of A.D. Naylor's Blacksmith Shop, one of the earliest and most prominent businesses in Oakland. The second floor called the Deep Creek Gallery, hosts a variety of exhibits documenting the history of Deep Creek Lake and nearby Maryland State Parks of Herrington Manor, Swallow Falls, New Germany, and Deep Creek. We will transfer to the Penn Alps Restaurant for an included lunch. You will have time to visit the Spruce Forest Artisan Village. Imagine yourself back in time when the local artisans of a community supplied the crocks, dry goods, wrought iron tools, and decorative elements of the household. You will find treasures and memories to keep for yourself and others. Enjoy the grounds and relaxed atmosphere. We're scheduled to arrive back in Chicago at 8:45 a.m. Some tour members will change trains bound for home destinations. Others will return home by air. Enter your details below if you would like to be notified when 2020 dates and prices are available for Trains of West Virginia.